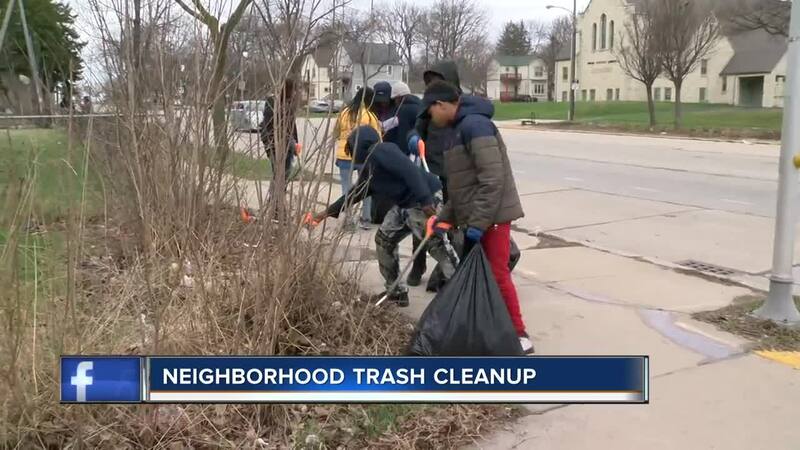 Common Council President Ashanti Hamilton, along with neighborhood watch groups from the Rufus King Neighborhood Association and Thurston Woods Block Watch, walked the streets with dozens of other volunteers picking up garbage. MILWAUKEE — A neighborhood effort is underway to clean up Milwaukee's north side. Common Council President Ashanti Hamilton, along with neighborhood watch groups from the Rufus King Neighborhood Association and Thurston Woods Block Watch, walked the streets with dozens of other volunteers picking up garbage. "It's really nasty," said Amaiaca Wright, 12. One volunteer said someone even chucked out some trash near her while she was picking up. "It's crazy how people just throw stuff out their window," said Nadia Landry, 16. Hamilton said the clean up was planned after all the complaints his office received from residents this spring. "We have been talking to a lot of people who live in neighborhoods that have been overcome by trash," said Hamilton. This comes at a time when the Common Council just increased the fine for littering to $500. "We want to start off with a clean community so when people mess this up there is a huge price to pay for this," said Hamilton. Even a 12-year-old said it is simple. "It's not that hard to just pick up some trash if you see it," said Wright, "Or just pick up anything that doesn't belong on the ground."